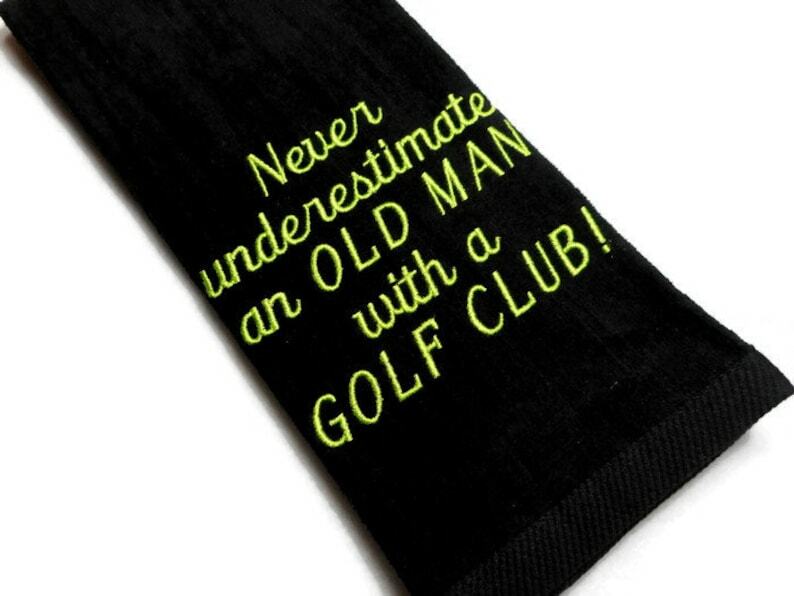 This funny golf towel makes a great father's day, birthday, or retirement gift for the golfer. Premium quality 100% cotton with plush velour finish. Embroidered saying, Never underestimate an old man with a golf club! The design measures approximately 5.5 x 5 inches. If you are personalizing, please leave the name in the Note to Seller box during checkout. You are welcome to customize the thread color, if you'd like. This is a machine washable tri fold towel, shown here in black.